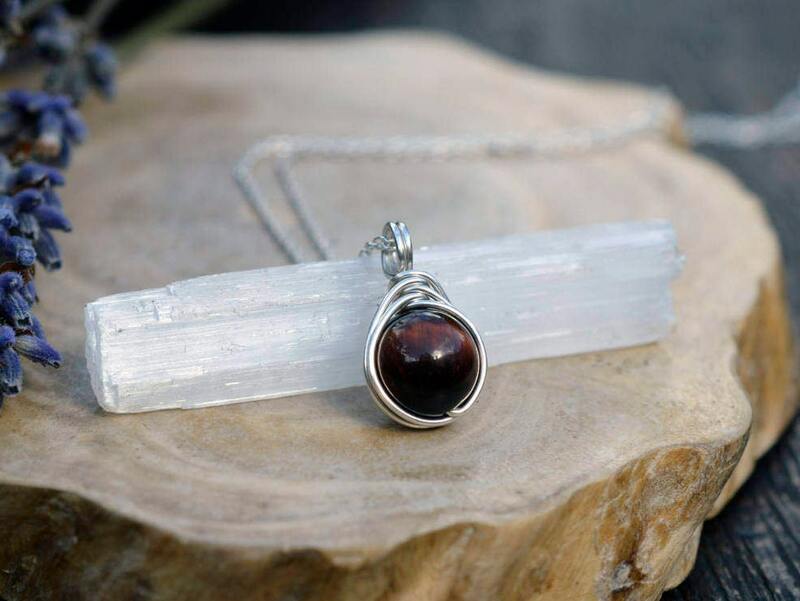 Red Tigers Eye gemstone necklace, wire wrapped with sterling silver wire. 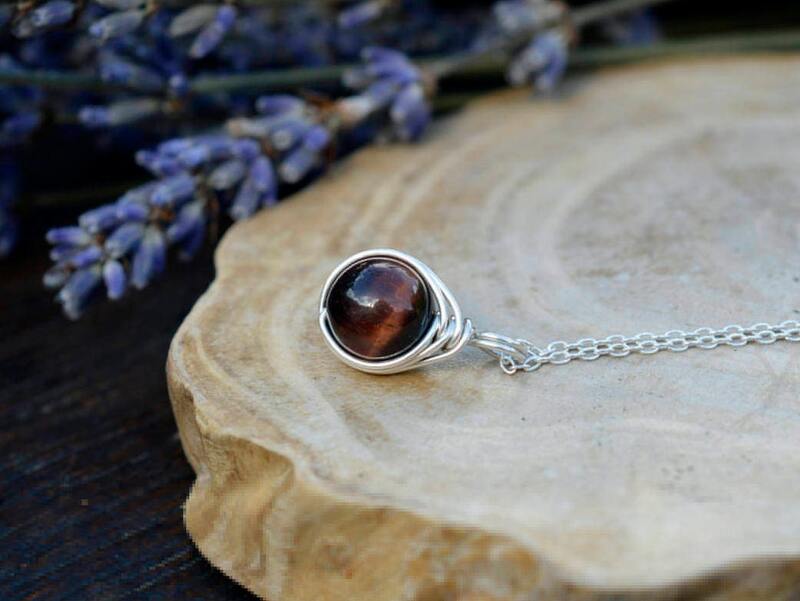 This stone has a beautiful red-brown colour, much warmer than the more commonly found tigers eye! Red Tigers Eye brings energies of vibrance and vitality, and of enhancing integrity of self and can be very grounding. It is said to help one have the practicality and willpower to take care of oneself fully. It is a survival stone and can help with the correct use of power for survival in difficult times, and can bring vitality. 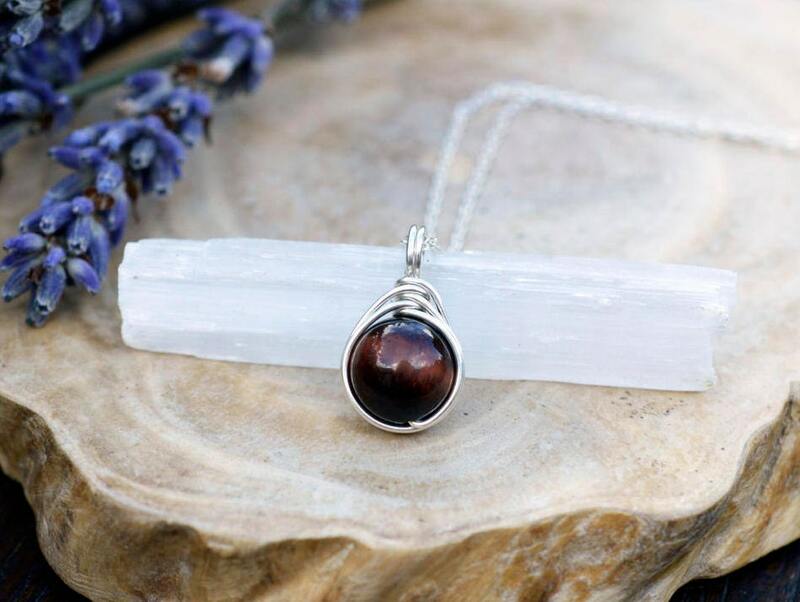 Tigers Eye is a powerful stone, used to aid harmony and balance, and reduce fear and anxiety. 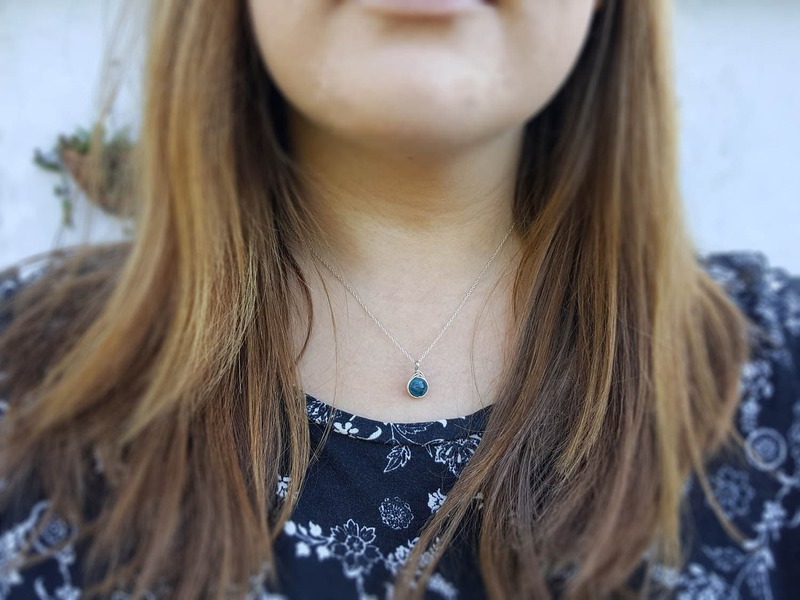 It can be used to help the wearer make informed decisions and choice in their lives. 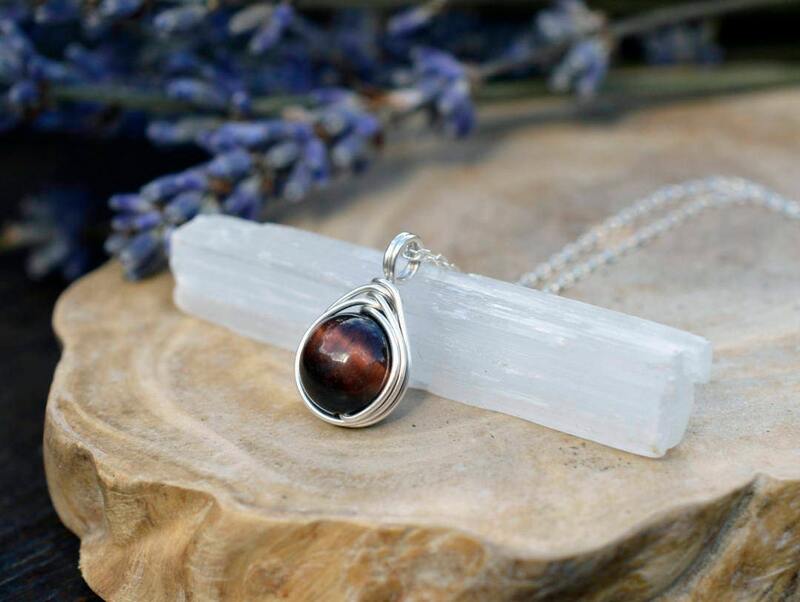 Tigers Eye is a non-traditional birthstone for those born under the sign of Gemini, so a perfect gift for anyone with this sign! I love this set , was exactly as pictured and beautiful. Was very pleased.